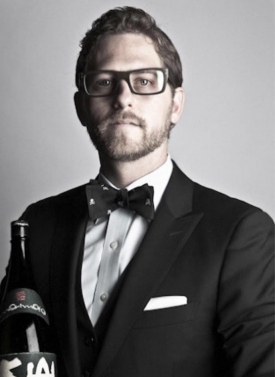 Join Eduardo Dingler, Sake Ambassador, on Sake Drinker & Friends along with occassional co-host and sake ethusiast Laura Koffer and explore the exciting sake world along side experts and novices including beverage professionals, chefs, and other Influential icons of our time. Eduardo's expertise comes from years as Beverage Director of Morimoto Restaurants starting at Morimoto Napa and being instrumental for other Iron Chef Morimoto openings throughout the globe including Morimoto Mexico, Morimoto Maui, Morimoto Asia Disney World in Orlando, Momosan Ramen and Sake in New York and Morimoto Bangkok. He's completed the Sake Professional Course by John Gauntner and more recently honored to be part of the judging panel for the San Francisco International Wine Competition '15 and '16, Japan Wine Challenge '16, and Japan Sake Challenge '16 in Tokyo. We hope you enjoy the show and just like us join the contagious and exhilarating world of the Sake Culture.